Green Aventurine: this beautiful, opaque green gemstone is known as the "stone of opportunity" and is thought to bring luck and prosperity. 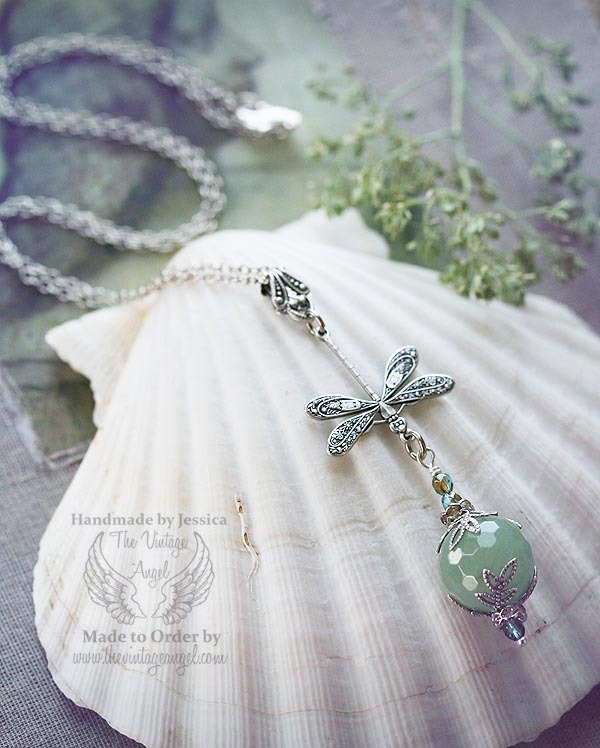 This whimsical and elegant set is crafted using faceted, authentic Aventurine gemstone beads accented with rhinestone rondelles and tiny Czech Picasso beads. 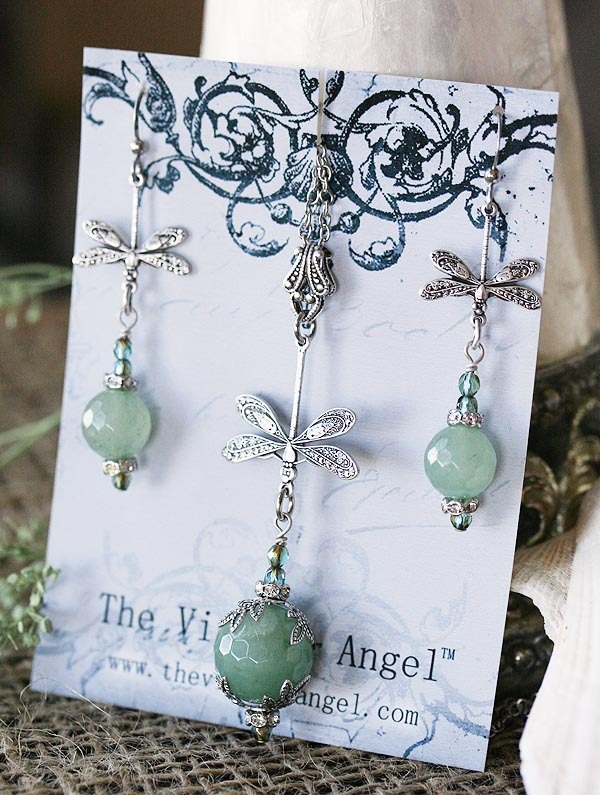 Art Nouveau style dragonflies in antiqued sterling silver suspend the Aventurine drops gracefully with both necklace and earrings. Metal components are made of high quality antiqued sterling silver plated brass, made in the U.S.A. Both necklace & earrings included. Necklace is on an 18" long chain. 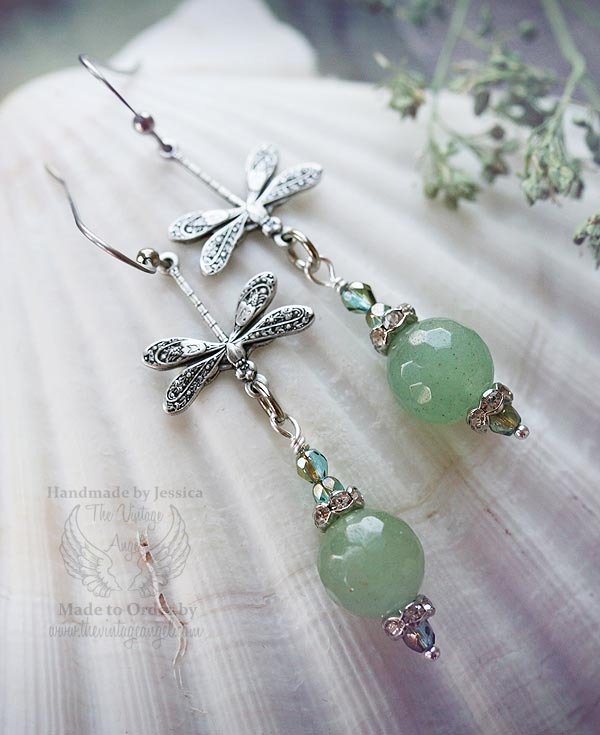 Earrings feature French wire surgical steel hooks for pierced ears.